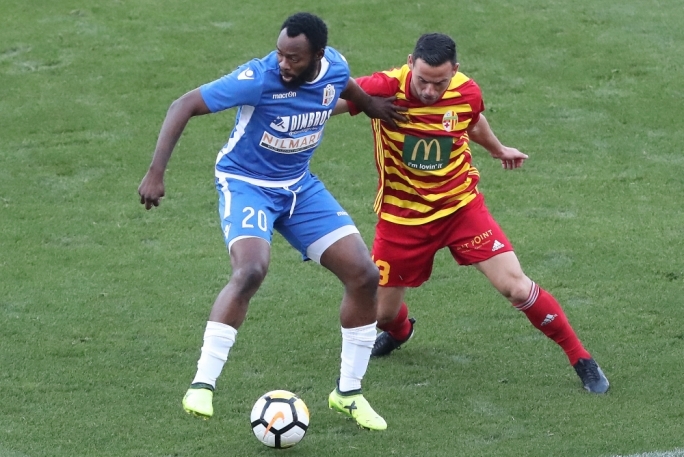 Birkirkara’s hopes of playing in next season’s Europa League took a huge blow as they suffered a 2-1 defeat at the hands of Mosta. Birkirkara started the match eager to secure a win in order to keep on believing that they can end a disappointing season with at least a qualifying spot for the Europa League. The stripes were coming from a 3-2 defeat against Hibernians. Meanwhile, Mosta were playing without much pressure as they needed just a point to regain their Premier League status for another season. Mark Miller’s men secured a 3-3 draw against Floriana in their previous encounter. Birkirkara made an impressive start to the match as they forged ahead after just 4 minutes. Marcelo De Siqueira went through inside the penalty area past Tyrone Farrugia before placing the ball inside the bottom corner. Mosta hit back on the 10th minute. From a free-kick, Gianluca Cuomo saw his volley going marginally wide. Mark Buttigieg’s men went close again 6 minutes later. Maurizio Vella squared the ball for Matthew Guillaumier whose first time shot sailed over. The post denied Birkirkara from doubling their advantage on the 17th minute. Following a free-kick, Guillaumier sent a stunning shot that stamped off the upright. Birkirkara lost a golden opportunity to score again on the 35th minute. Following another defensive mistake by Mosta, Jorginho played the ball towards Maurizio Vella whose close range shot went wide. The Stripes made a good start to the second half and had another promising opportunity on the hour mark. Clayton Failla’s cross went into the direction of Jorginho who headed the ball off target. Mosta replied on the 64th minute. From a free-kick, Rafael Morisco hit a powerful shot that ended up centimetres wide. Mark Miller’s side equalised on the 75th minute. Substitute Zachary Brincat drilled a low shot from the edge of the penalty area that gave Andrew Hogg no chance. However, Mosta scored again on the 81st minute. Akeem Garnet Roach’s low cross found Davy N’Guessan Angan who slotted the ball inside the net from in front of Hogg. Birkirkara tried to react during the remaining minutes. However, Mosta remained disciplined as they held on to take the three points.